Dunbar and Boardman: Spotlight on Technology: How do you ensure elevator ride quality? Spotlight on Technology: How do you ensure elevator ride quality? Photo Credit: Physical Measurement Technologies, Inc. In our role as consultants for the vertical transportation industry Dunbar and Boardman have overseen many elevator and escalator installations around the world and here in the UK. Once a new vertical transportation system has been installed we are quick to assess the ride quality of all lifts and escalators. This we do by using EVA Vibration Analysis Tools software. What is the EVA Vibration Analysis Tools software? 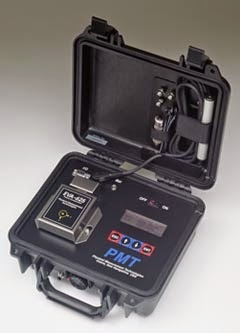 The EVA system is the creation of an American company based in Malborough, New Hampshire called Physical Measurement Technologies, Inc. Their product, the EVA-625 Elevator Vibration Analysis system has become the industry standard for the measurement of ride quality, vibration and sound in elevators and escalators. It is used in over 70 countries. Place the EVA 625 on the floor of the elevator, turn the machine on, press the record button and then take a ride. The system will automatically store the data and will give you readings for ride quality, vibration and sound. Individual components can also be tested via the system. This means that technicians and engineers can take corrective action to resolve problems with ride quality, vibration and sound. In general terms, the quality of installation and service can be improved dramatically. In the UK and across Europe one company is responsible for the sale and support for the EVA system. That company is called Eurogears. Eurogears are based in Rochester in the county of Kent. Eurogears Ltd was founded in 1990 & provide on-site engineering, power transmission & mechanical engineering services in addition to being the European distribution partner for Physical Measurement Technologies, Inc.
Dunbar and Boardman keep a watching brief on technological advances within the vertical transportation industry to better serve our clients. Dunbar and Boardman is the lift, escalator and access equipment consultancy. Do you need help ensuring ride quality for your vertical or horizontal transportation system? We would be happy to discuss any such requirements and how we may be able to assist. Give us a call on T +44 (0) 20 7739 5093 or send us an email via peterboardman@dunbarboardman.com to start the conversation. We look forward to hearing from you.